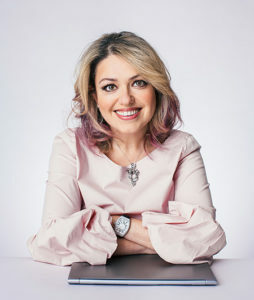 Lana Vernovsky, the CIO/COO of Dynamics Resources (Microsoft Gold Partner specializing exclusively in ERP & CRM Solutions), has been welcomed into Forbes Technology Council, an invitation-only community for world-class CIOs, CTOs, and technology executives. Lana was vetted and selected by a review committee based on the depth and diversity of her experience. Criteria for acceptance include a track record of successfully impacting business growth metrics, as well as personal and professional achievements and honors. 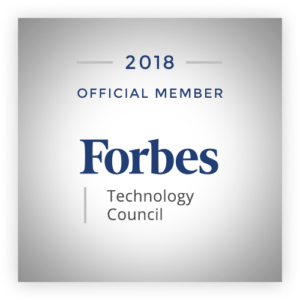 As an advisory member of the Forbes Technology Council, Lana will work with a professional editorial team to share her innovative insights in original business related to ERP & CRM (Dynamics 365) articles for Forbes. Dynamics Resources is a Microsoft Gold Partner and a Value-Added Reseller specializing exclusively in Dynamics 365 for Finance and Operations, Dynamics AX and CRM. Dynamics Resources has been proudly serving Dynamics community in North America since 2004. We are a group of Microsoft ERP veterans specializing in Dynamics 365 for Finance and Operations and all versions of Dynamics AX & CRM. Our services range from new implementations of Dynamics 365 for Finance and Operations or Dynamics AX 2012 to upgrades, Solution Audits (independent assessments of existing environments), Training, Support & Consultants. Being a group of innovators, we create a variety of products available on Microsoft Store, such as Loan management, Blockchain integration, Credit card processing Paydax tool and many more. As a Microsoft Gold Partner and trusted Dynamics adviser, our goal is to continue to bring innovation and superior expertise to build and protect ERP investments for numerous organizations.